The Greater Monadnock Society for Human Resource Management is a non-profit organization of Human Resource professionals, small business owners, students, and those who have an interest in HR including private and public sector employers in the Greater Monadnock area. Founded in 2003, and affiliated with the national Society of Human Resource Management (SHRM) on 12/19/2003, GMSHRM is based in Keene, New Hampshire and is one of six regional chapters in the state affiliated with the Society of Human Resource Management (SHRM). The objectives of the association are as follows. To provide a forum for the personal and professional development of members. To provide valuable networking opportunities, as well as information gathering and dissemination channels. To provide opportunity to focus on current human resource management issues of importance to members. To provide a focus for legislative attention to state and national human resource management issues. To provide opportunities for conferences, research and exchange of knowledge and experience among members. To support the NH State HR Council and the national Society of Human Resource Management. 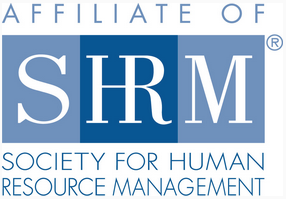 The Greater Monadnock SHRM is a member chapter of the Society for Human Resource Management (SHRM). Membership in GMSHRM is separate and apart from membership in SHRM. We strongly encourage you to become a member of SHRM to support this affiliation and to take advantage of the numerous benefits offered to SHRM members. It is important to remember to indicate that you are a GMSHRM chapter member and include our membership number (#0683) when completing your SHRM membership application. For more information regarding SHRM, click here.